05 - Laws of Variation 05-11 - Species of the Same Genus Vary in an Analogous Manner 10 Distinct Species present analagous Variations, so that a Variety of one Species often assumes a Character proper to an Allied Species, or reverts to some of the Characters of an early Progenitor.- These propositions will be most readily understood by looking to our domestic races. 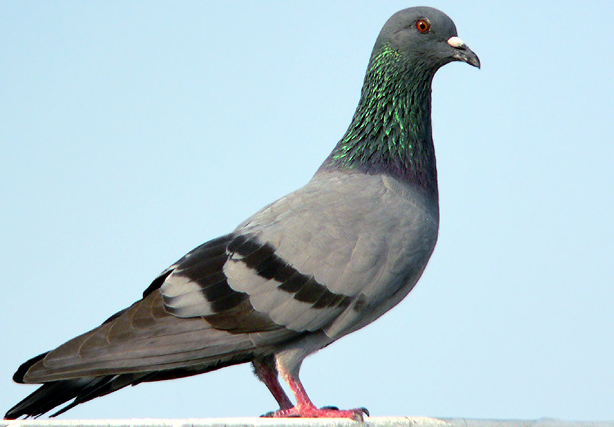 The most distinct breeds of the pigeon, in countries widely apart, present sub-varieties with reversed feathers on the head, and with feathers on the feet,- characters not possessed by the aboriginal rock-pigeon; these then are analogous variations in two or more distinct races. 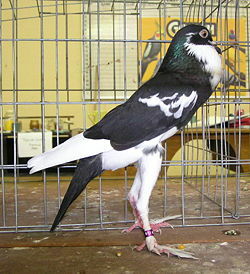 The frequent presence of fourteen or even sixteen tail-feathers in the pouter may be considered as a variation representing the normal structure of another race, the fan-tail. 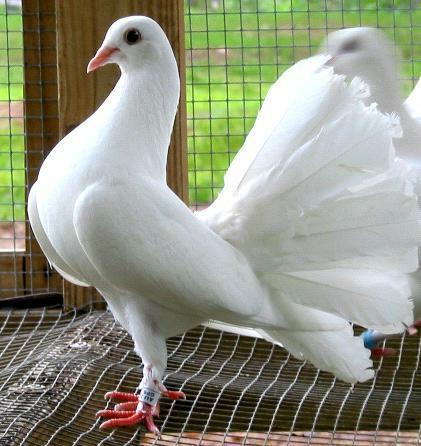 I presume that no one will doubt that all such analogous variations are due to the several races of the pigeon having inherited from a common parent the same constitution and tendency to variation, when acted on by similar unknown influences. 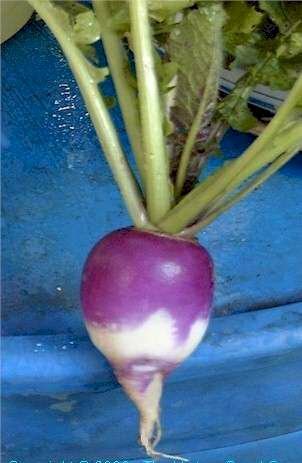 In the vegetable kingdom we have a case of analogous variation, in the enlarged stems, or as commonly called roots, of the Swedish turnip and Rutabaga, plants which several botanists rank as varieties produced by cultivation from a common parent: if this be not so, the case will then be one of analogous variation in two so-called distinct species; and to these a third may be added, namely, the common turnip. According to the ordinary view of each species having been independently created, we should have to attribute this similarity in the enlarged stems of these three plants, not to the vera causa of community of descent, and a consequent tendency to vary in a like manner, but to three separate yet closely related acts of creation. 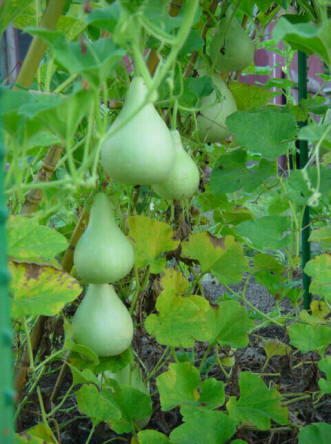 05 - Laws of Variation 05-11 - Species of the Same Genus Vary in an Analogous Manner 20 Many similar cases of analogous variation have been observed by Naudin in the great gourd-family, and by various authors in our cereals. Similar cases occurring with insects under natural conditions have lately been discussed with much ability by Mr. Walsh, who has grouped them under his law of Equable Variability. With pigeons, however, we have another case, namely, the occasional appearance in all the breeds, of slaty-blue birds with two black bars on the wings, white loins, a bar at the end of the tail, with the outer feathers externally edged near their basis with white. As all these marks are characteristic of the parent rock-pigeon, I presume that no one will doubt that this is a case of reversion, and not of a new yet analogous variation appearing in the several breeds. 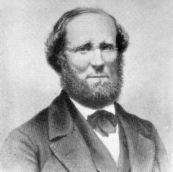 We may, I think, confidently come to this conclusion, because, as we have seen, these coloured marks are eminently liable to appear in the crossed offspring of two distinct and differently coloured breeds; and in this case there is nothing in the external conditions of life to cause the reappearance of the slaty-blue, with the several marks, beyond the influence of the mere act of crossing on the laws of inheritance.